Last night I dreamt I bought 2 cars for $500 at a local auto shop. 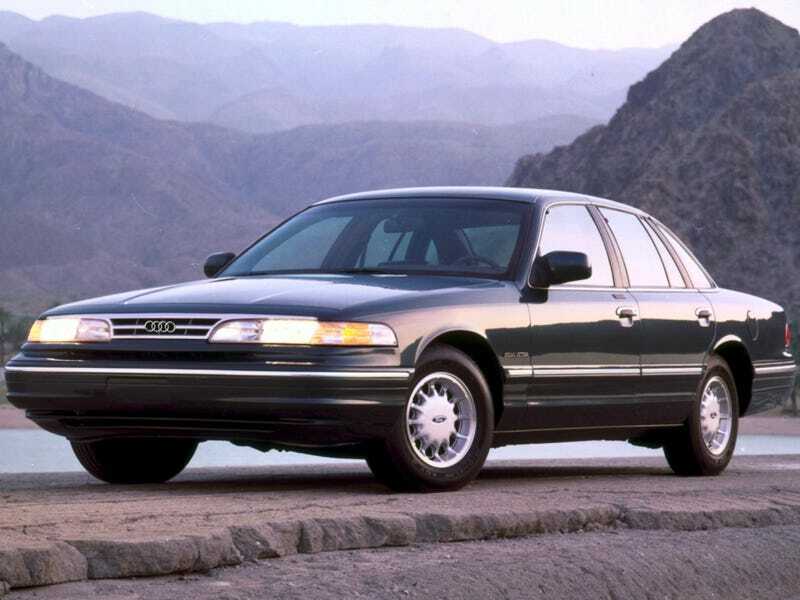 One was a mid-90s Crown Victoria... with Audi badges. The other was a white Volvo 240 and it came with a pair of Volvo slippers... that had mold.